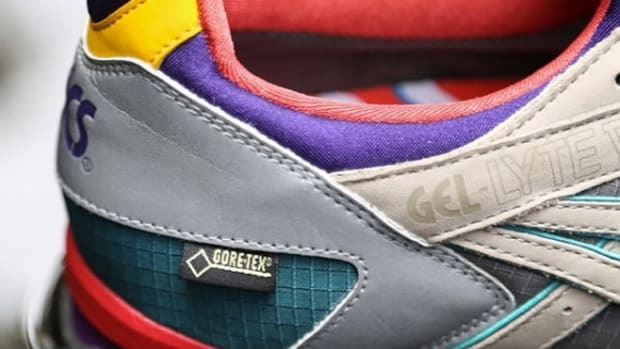 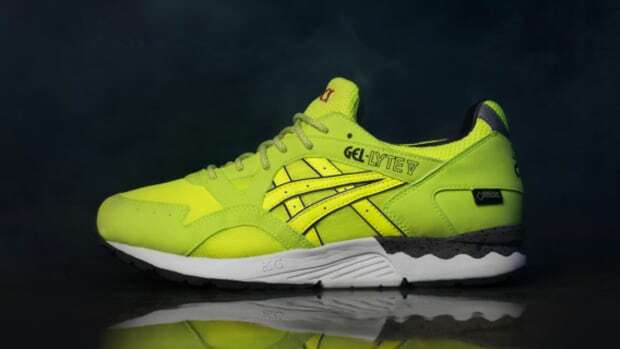 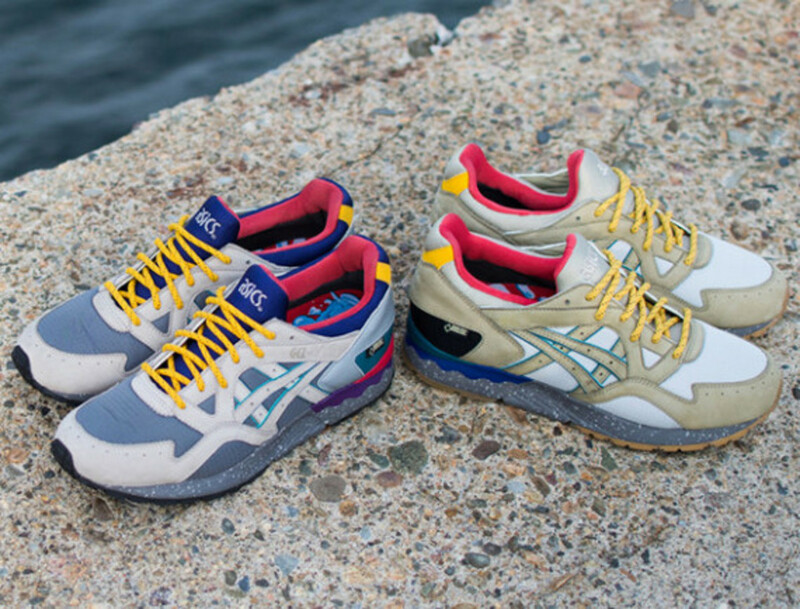 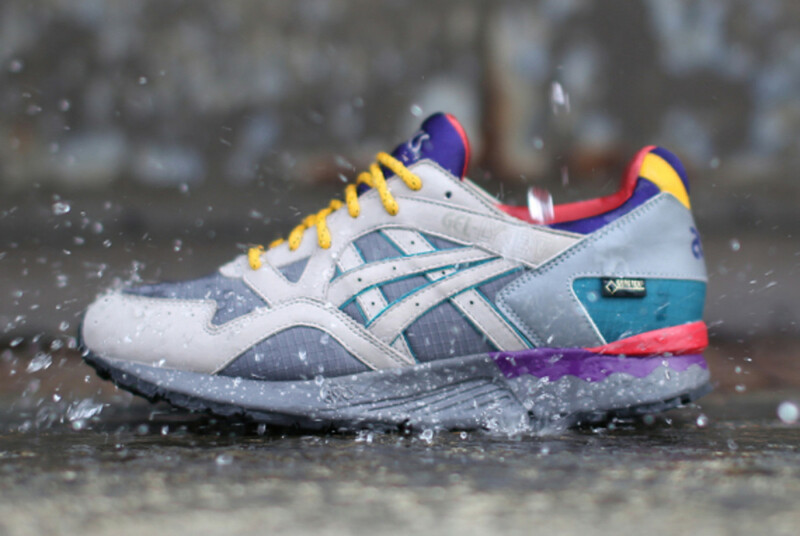 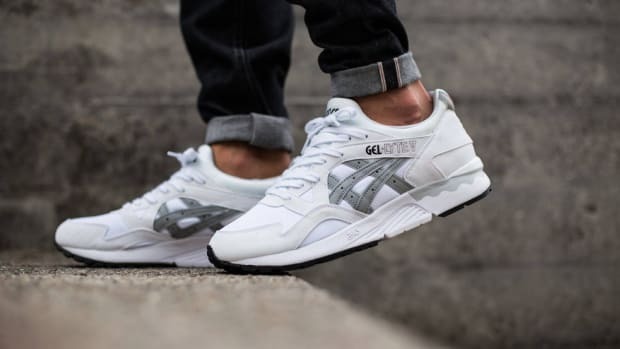 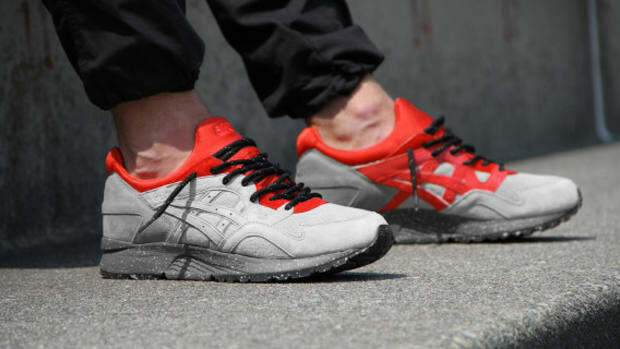 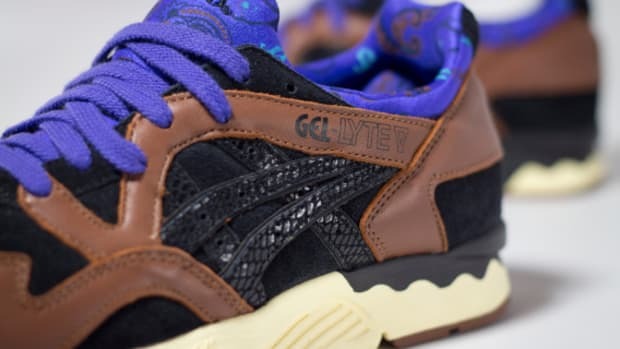 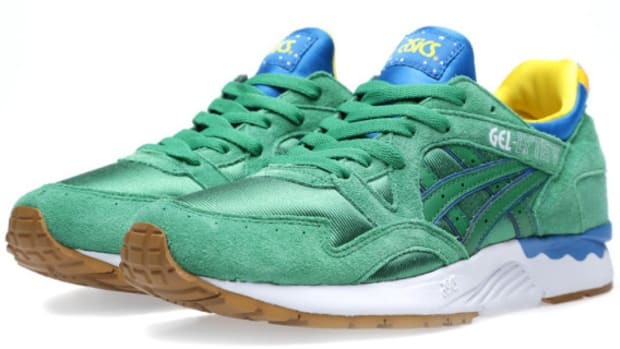 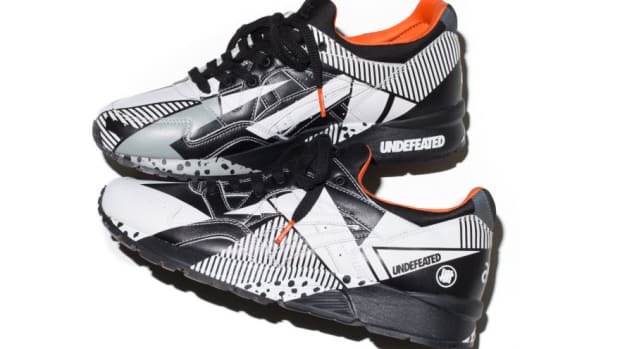 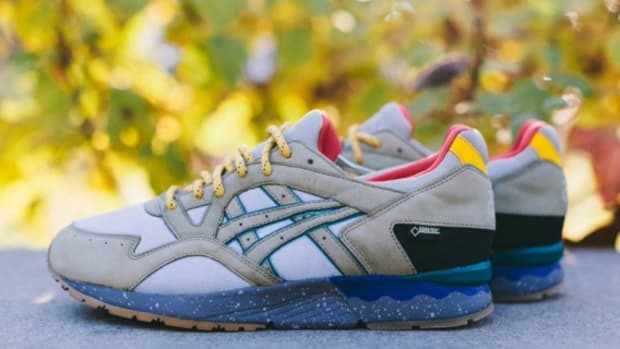 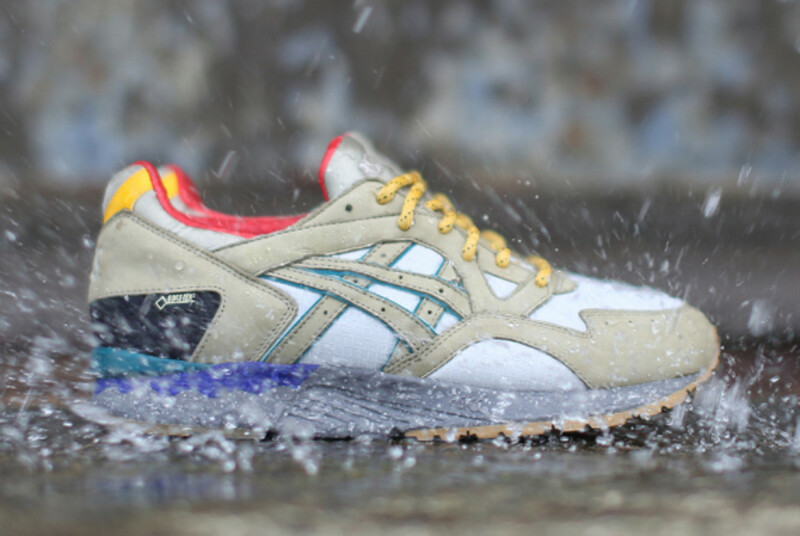 Originally introduced through a novel geocached contest that saw pairs hidden around the world, the Bodega x ASICS Gel Lyte V gets a wider release this month, now featuring two different colorways collected under the "Get Wet" banner. 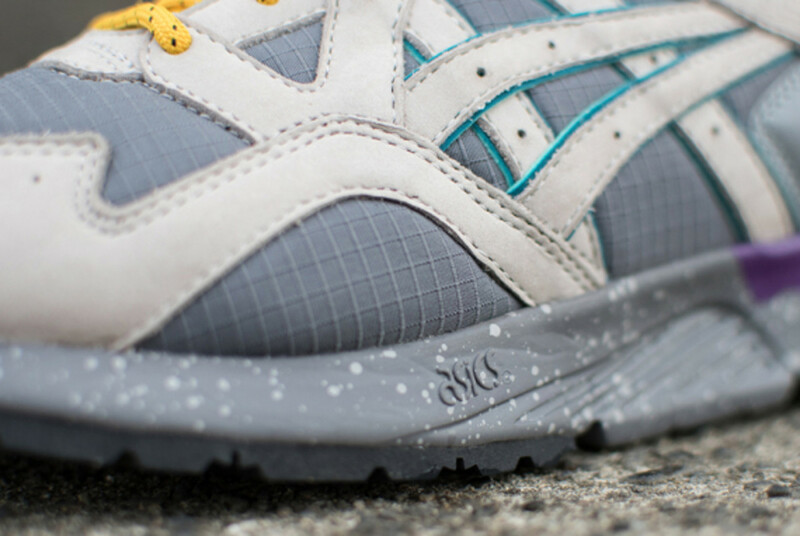 Both styles -- Vapor Blue/Olive Grey and Pewter/Atmosphere -- feature waterproof Gore-Tex construction dressed with nubuck, ripstop nylon and reflective 3M panels. 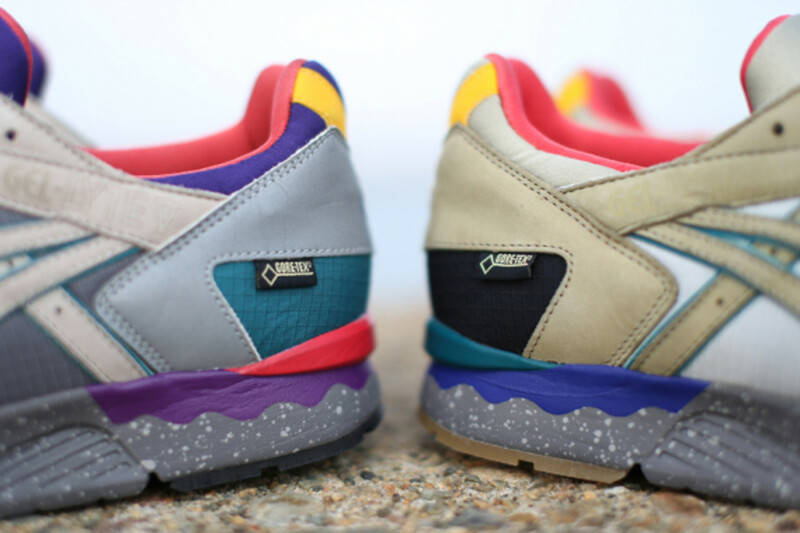 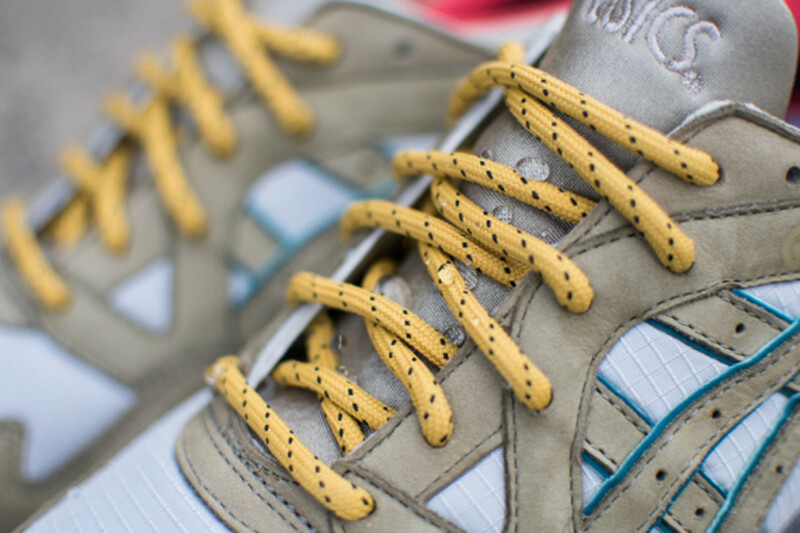 A speckled midsole, gum outsole, custom footbeds, neoprene liners and two sets of rope laces round out the details. 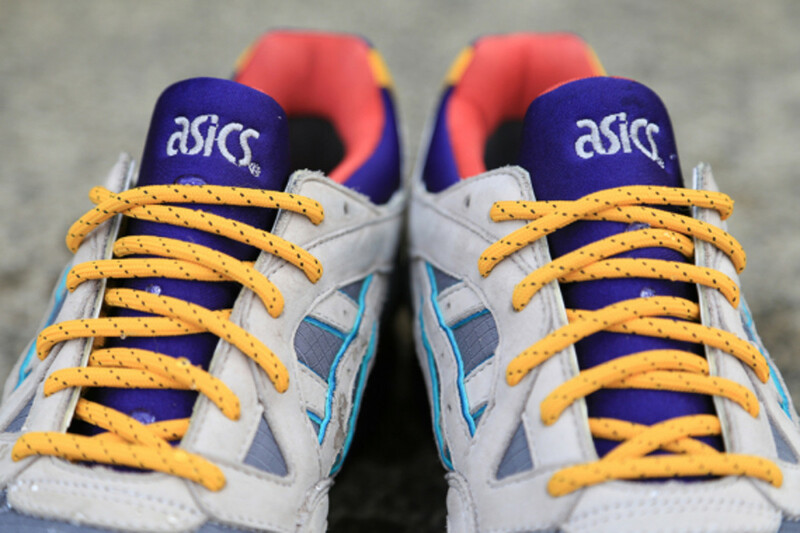 Each pair is accompanied by a USB drive featuring exclusive content for the project. 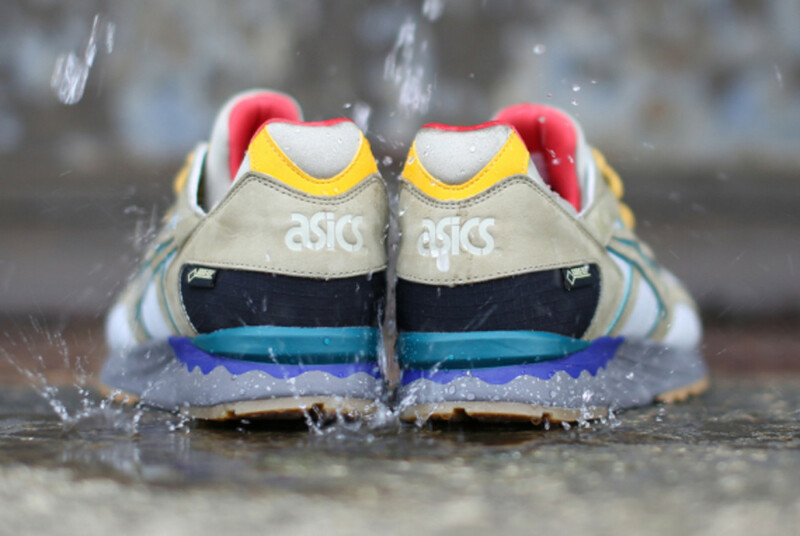 Retailing for $170, each colorway of the Bodega x ASICS Gel Lyte V "Get Wet" is set to launch December 13 at Bodega, 12 am EST online and 9 am in-store. A small run of matching Bodega Windbreakers ($120) will also be available with the release.